Commonly, an engineer is more interested in the technical details and the development journey of a new technology. However, if he/she has the opportunities to be assigned to a real project for the floatover operation, his/her knowledge in the project management will be a very important factor for him/her to effectively fit in the project team. Project management plays the vital role in the success of the project. If the reader is only interested in the technique aspect of the floatover technology, he/she can skip this chapter. 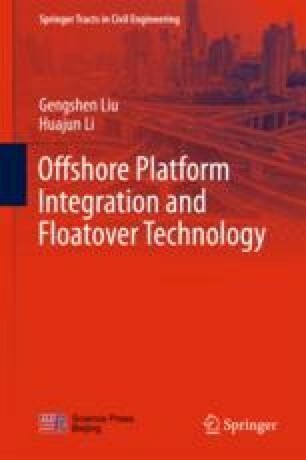 The discussions in this chapter touch several important issues for offshore installation project management. Through the materials presented, it is emphasized how the integrated efforts can be realized through well-established management systems. Details of project team framework, project QMS, PEP, communication network, document control system, etc. are also covered in the discussion.